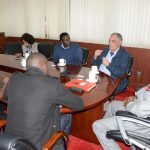 H.E Governor Mutahi Kahiga met with the International Coffee Organization (ICO) team on 18th August 2018, who paid a courtesy call in his office to discuss the opportunities and challenges in the coffee sector, including the need to foster sustainability to address quality, safety and productivity issues. 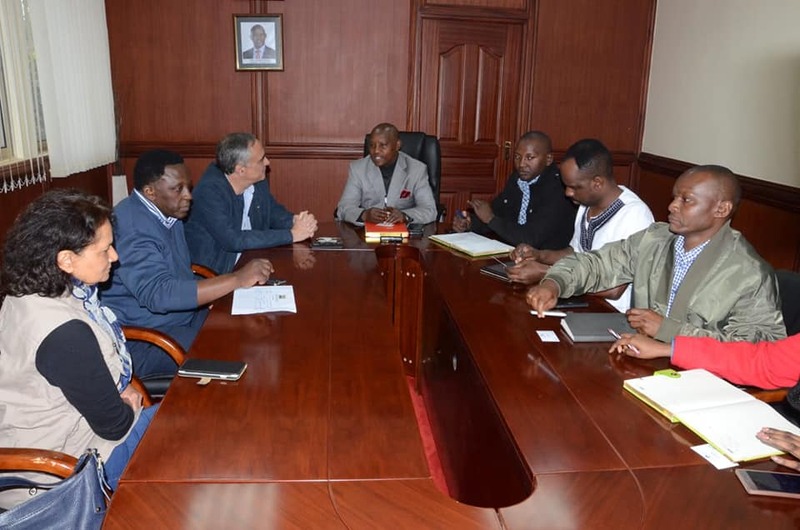 The County Government of Nyeri through the leadership of H.E the Governor is working on a plan to increase the coffee output due to a dwindle in coffee production that has been occasioned by a decline in profitable markets. The current production stands at two kilograms per tree. 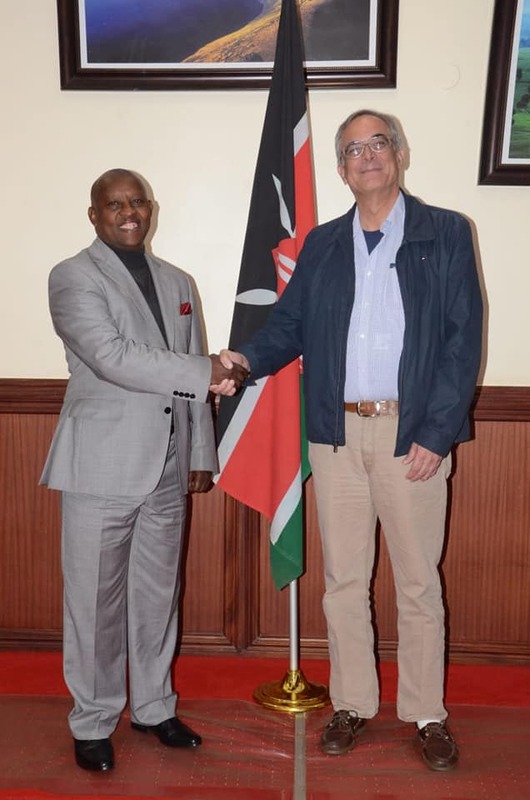 “The international market looks for the best quality of coffee and Kenyan coffee is one of them, I am from Brazil and even if we produce coffee ourselves, Kenyan coffee is hailed in the international coffee market as the best coffee” said the Executive Director ICO, Mr José Sette. The Chairman of the Coffee Sub-Sector Reforms Implementation Committee in the Office of the President, Prof. Joseph Kieyah said there is a need to conduct an audit for the Cooperative Societies in the country. 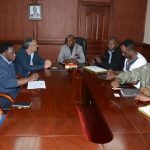 In an effort to achieve this, the agriculture department in the county has hired more extension and technical officers to train and empower farmers on the best agricultural practices which will enhance coffee production. The county government has also provided lime to farmers to improve the soil Ph for the coffee trees. 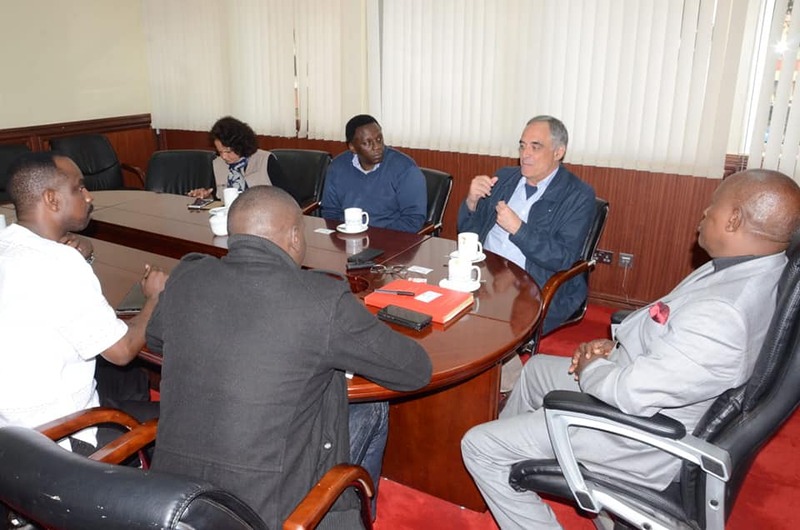 The team reiterated the need to encourage the youth and rope them in in the coffee sector through the use of innovations and campaigns. 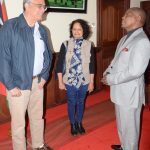 It also called for proper legislation in the coffee industry and encouraged direct marketing for Kenyan Coffee since Kenya is susceptible to International Market prices that cause deep fluctuations and inconsistencies in the pricing of coffee. 40 % of Brazil’s coffee is consumed domestically and this is attainable in Kenya if Kenyans embrace the consumption of coffee. 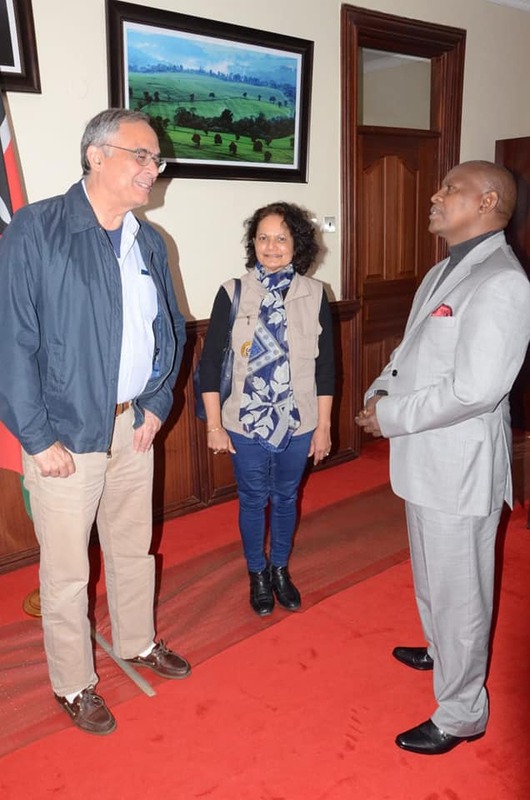 Others in attendance were Hamidah Ibrahim (ICO) , County CEC for Agriculture, Livestock and Fisheries Henry Kinyua and Chief of Staff Paul Wambugu.